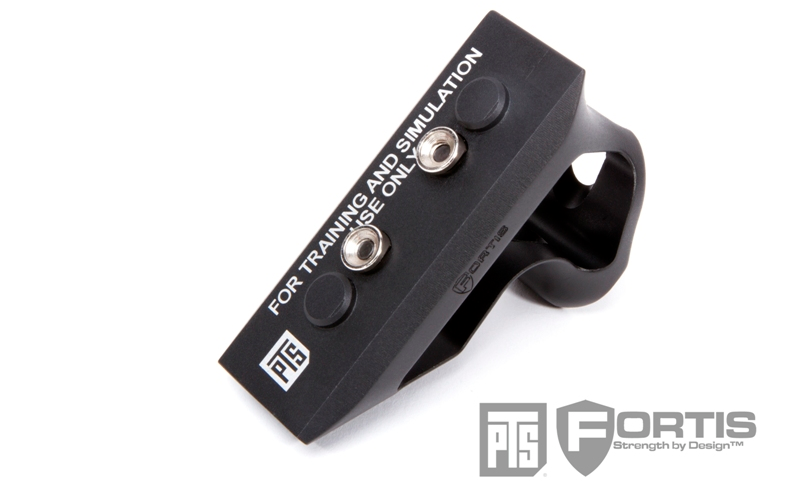 The PTS Fortis Shift™ Short Angled Grip is a one piece billet design made from 6061-T6 aluminum. 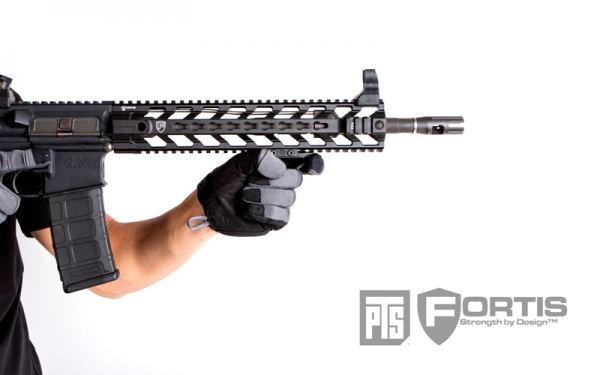 The skeletonized design grants it with an overall weight of 72g (Keymod) compared to its larger vertical grip counterpart of 104g respectively; making the grip extremely lightweight. The stubbier grip design can be seen as a hybrid between a short vertical grip and a hand stop. 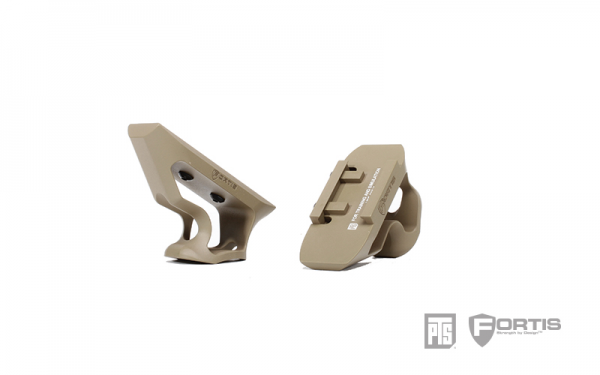 The finger notch allows the user to hook their pinky finger into the grip and pull back into their shoulder. The angle softens the degree to which the support hand is canted, granting a more comfortable grip than your basic hand stop. The notch may even hold the ring finger and middle finger. The short angled grip can be simply installed using a clamp that is adjusted by only two bolts - meaning the user doesn't need to remove other accessories in order to install the grip, allowing you to save time. This grip will only fit the KEYMOD rail systems.